Christmas is a time of miracles, when impossible wishes get granted, and even the most elusive love is given and received. Nora Caldwell learned heart-wrenching sacrifice as a child. She is determined her only son will not suffer the same lack of parental devotion. Zane Lockhart is a Special Forces soldier who had everything, growing up. Except a purpose. He found that serving his country. Nora and Zane can’t deny their attraction for each other, any more than they can seem to make their on-again, off-again relationship work. Duty and honor keep getting in the way. Zane wants to put their country first. Nora believes family should surpass all. It takes Nora’s adorable three month old baby Liam and the wise residents of Laramie Gardens Home For Seniors to match-make some sense into these two, and give them the happily-ever-after kind of Christmas they deserve! 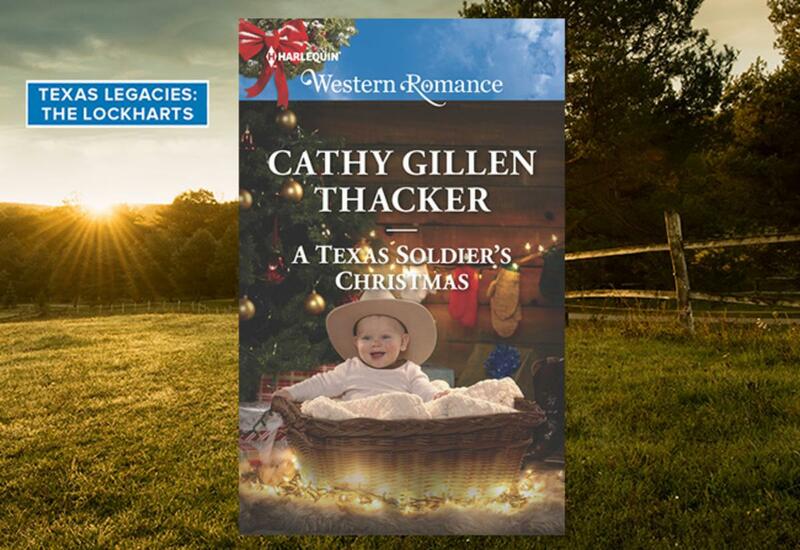 Read an EXCERPT of A Texas Soldier's Christmas and check out the other books in the TEXAS LEGACIES: THE LOCKHARTS series.